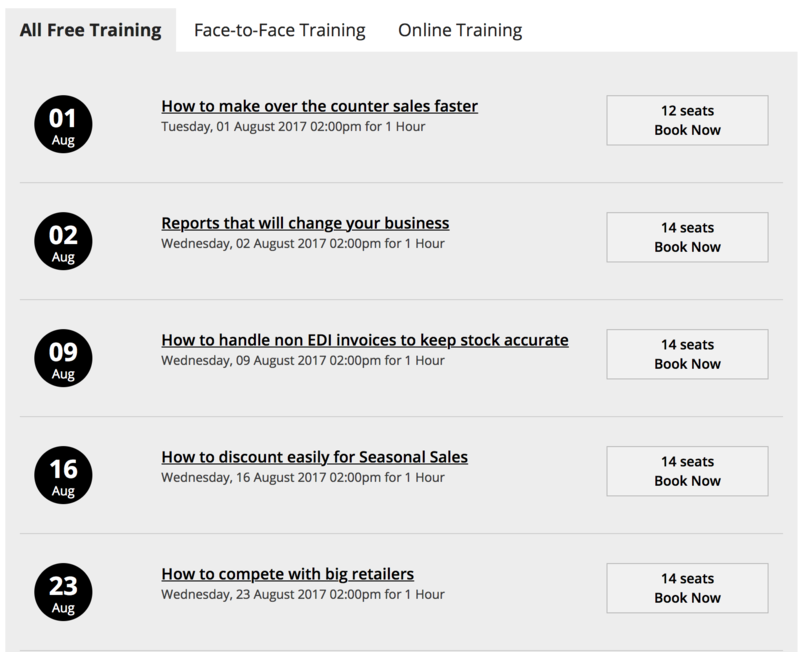 Free POS software training for August | A blog about smart POS software for independent small businesses. We are excited to be showing our latest POS software packages for gift shops, jewellers, bike shops, pet shops, toy shops, fishing/outdoors, garden centres/nurseries, newsagents, produce stores and firearms retailers at the gift fair in Melbourne in a few weeks. 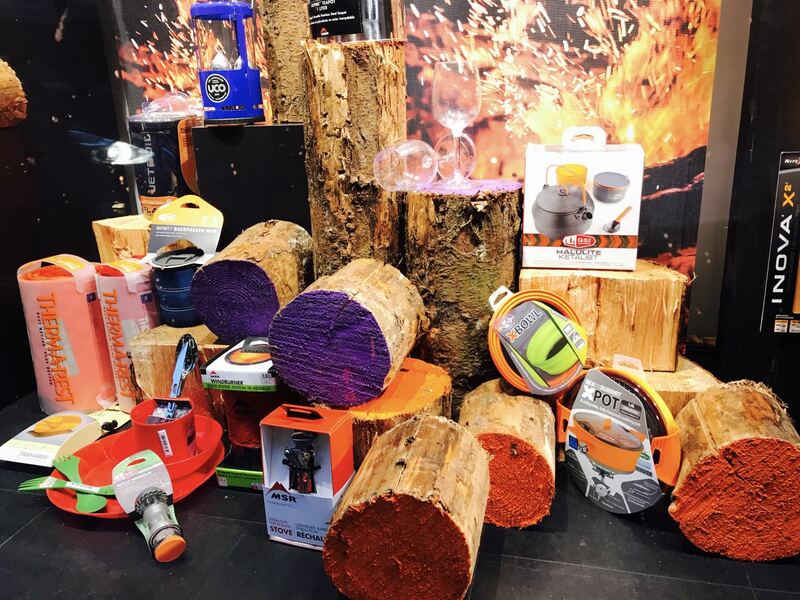 Having done this fair for many years, we understand the value retailers in a range of specialty niches place on the large event. Many regard it as the best gift fair in Australia. Tower Systems has been the most consistent POS software supporter of the fair and those who attend. It has certainly been valuable for us, helping us reach many prospects who have become customers. This gift fair is valuable because it serves a range of specialty software niches in which we serve. This makes it more interesting than single marketplace shows. 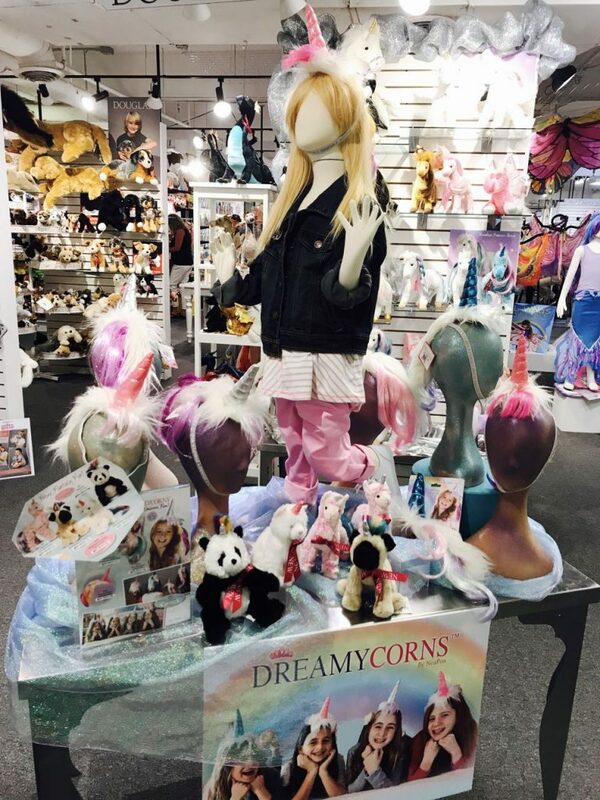 It makes it far more interesting than trade shows run by a wholesaler serving one retail niche. 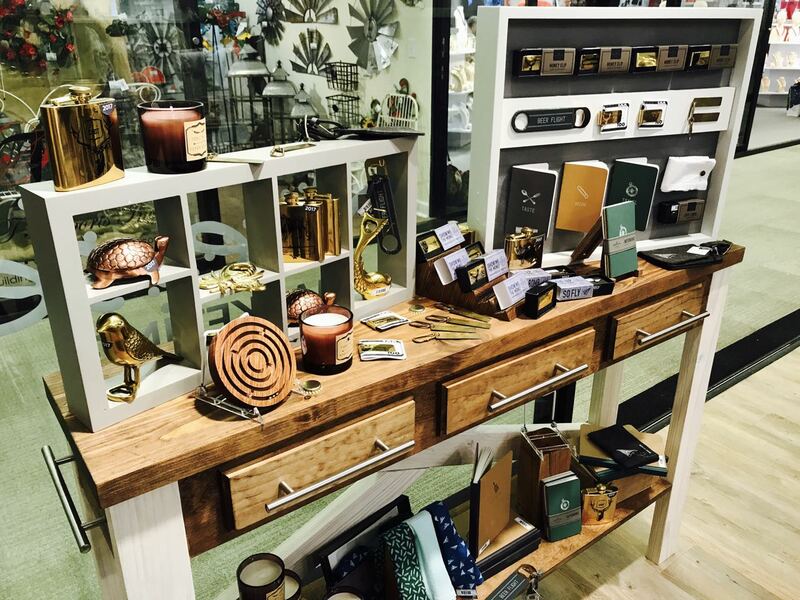 This year our Melbourne Gift Fair stand is located at the showgrounds, where attendees will see a terrific mix of gist, homewares, toy, fashion and personal grooming products. We’d be thrilled to say g’day if you stopped by. In our weekly customer support email to our small business POS software users we include everyday business management advice. We are grateful for customer feedback on the practical tips we provide and for suggestions on new topics se can cover. Here is recent advice we shared with our customers on quitting dead stock. If you want to quit stock, quit it, quickly. Quickly means different things to different people. We think it means 7 days … gone and out of the shop in 7 days from when you decide to quit the products. The easiest way to quit stock is for your shoppers to understand the deal. Understanding the deal starts with how you brand the sale. A sign with SALE on it could mean anything. We suggest you NOT use this. A sign with, say, 50% off could be confusing as they don’t know the starting price and some may not understand percentages. A Sign with HALF PRICE is more easily understood but they still do not know the starting price. If you really want to quit stock, we suggest you have tables or dump bins at price points: $1, $2, $5 – or that ever is appropriate to you. We have tested this. We have tried $9.99 priced an item at 50% off, half price and $5.00. The $5.00 pricing worked the best, by far. This is our recommendation on quickly quitting stock: get the price messaging right. If your price messaging is hard to understand or if there are too many different price messages you could be creating a barrier and this could stop you achieving the sales outcome you want. Also: display the product for a sale. i.e. not pretty. Reorganise it daily. Keep it separate to the premium merchandise. This advice in another example of how Tower Systems helps small business retailers beyond our POS software and the support you may expect from a company like us. We love helping small business retailers save time, make money and enjoy their businesses more. These are core goals of our Australian POS software business. They reflect what we call the Tower AdvantageTM. August 10, 8am. Figtree Conference Centre: Mission Room, 5 Figtree Drive, Sydney Olympic Park NSW. August 10, 11am. Figtree Conference Centre: Mission Room, 5 Figtree Drive, Sydney Olympic Park NSW. We will demonstrate live websites that are connected to our Retailer software in local businesses. we will also show how to transfer stock to a website and how to manage images. We will answer all your website related questions. Bookings are essential. Our head office in in hawthorn, Victoria – 3A Lynch Street. We’d love you to visit! We also have offices interstate. Your software is more expensive than other software I am looking at – why? It could be that the other software you are looking at is not as comprehensive as ours. It could also be you have not been informed of the total cost of ownership of the other software. We think our pricing is fair based on what we have invested in our software and the comprehensive services with which we back our software. We believe in the maxim – you get what you pay for. What does “off the shelf software” mean? Yes. We offer a safe and secure service for this. There are jewellers and then there are speciality jewellers, jewellers who provide speciality services such as repairs, one-off manufacturing, insurance claim services, professional valuations and the handling of quality second-hand goods. These are some of the services of a specialty jeweller. Such jewellers tend to not be in the mass marketplace. Their businesses are niche, local and professional. It is in this space where our speciality jeweller software shines, where it offers deep and valuable services for jewellers in a way that helps them harness their specialisation valuably and efficiently. Here is a brief video we made that details some of the specialisation in our specialty jeweller software. Jeweller software explained from mark fletcher on Vimeo. 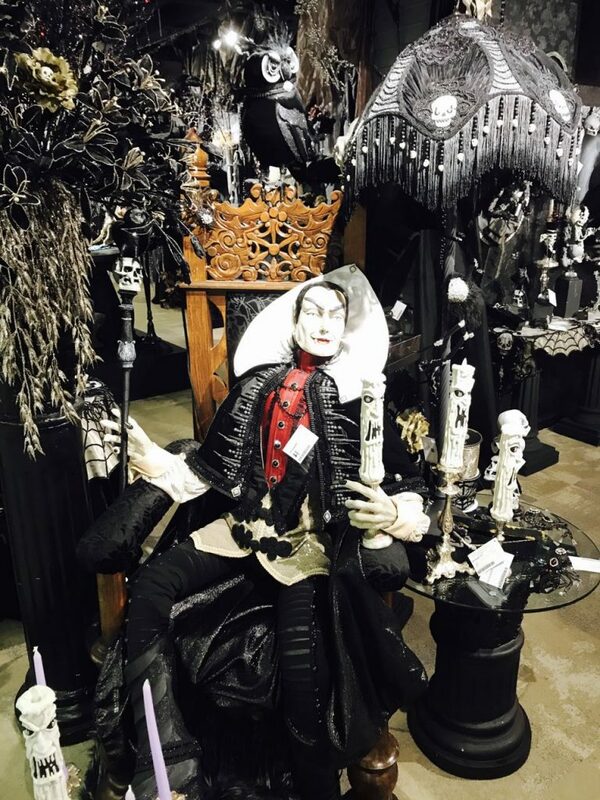 Check out a display we saw last week at the Gift Fair in Atlanta. This is from a wholesaler of Halloween related products. 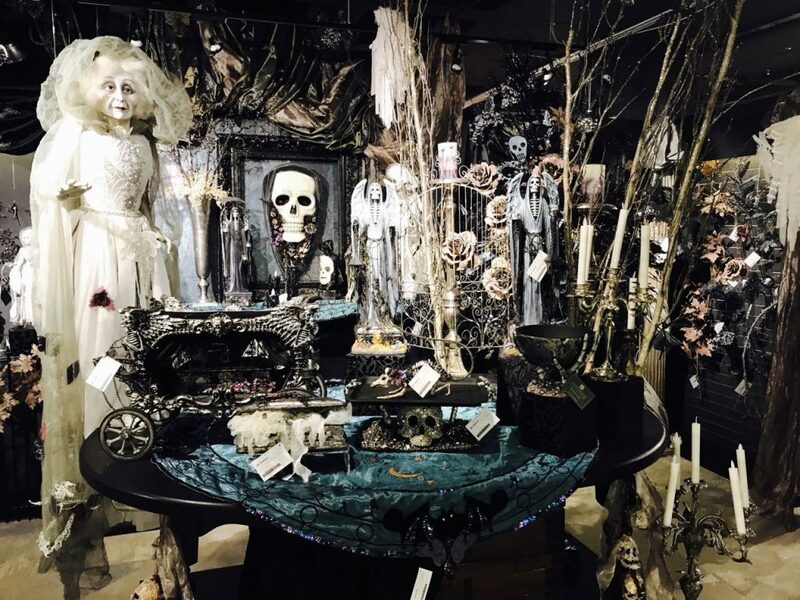 The display is inspiring for the way it makes a statement about this terrific seasonal opportunity. Choosing a cloud backup service takes care. As with any business service, you have businesses out there claiming to offer a service that they do not actually offer. We suggest you take care to find the right service, a professional service, one that provides your business with the care and backup you seek for your specific type of business. The cloud backup service offered by Tower Systems to its small business retailer customers is best practice, offering the ultimate in protection for our customers. Whole of PC backup. This is crucial. Cloud based storage in a secure independent server farm location. Speedy recovery back to a selected data. Certainty over the management of the processes. No user triggered backup activity required. While there are free cloud based backup services, when it comes to protecting your business data a free service is most likely not the best. Your business data needs to be treated with the respect it deserves. The most valuable growth being achieved by small business newsagents today is in product categories that have not been traditional for newsagents. While traditional categories such as papers, magazines and stationery can be found in retail newsagency businesses, they are not financially rewarding as they once were. This leads newsagents to question the investment they make in these categories of diminishing returns. Tower Systems offers newsagents solutions in these old categories as well as the growing in value new product categories. This focus by us as the newsagency software company serving close to 1,800 newsagents using our newsagency software is at the core of what we do for small business newsagents. Our advice to small business retailers when it comes to the best training hours too open is to consider carefully the evidence available, for your specific business. When was the last time you assessed sales by time and particularly at sales revenue at the start of the day and at the end of the day? It could be that you are opening your small business retail shop too early or too late or that you are closing too early or too late. Use your POS software to assess sales at the fringe of the day for, say, the last six months. Look overall and then for each day of the week. Good software should allow you to do this level of reporting. Work out the slew revenue per hour, apply your overall gross profit percentage and then deduct the hourly cost of being open. If, for example, your average revenue is $30 for an hour at the start of the day and you have staff working this time and they don’t have much else to do those days and you have, say, GP of 32%, your GP is $9.60. Once you pay wages for the hour you are losing money. If the customers are not regulars it could be that you are better off closing. If, on the other hand, your sales are $100 or more in the first hour, it could be that opening earlier could win even more business. Only you can make the assessment of what is right for your business. Our advice today is look at your data and make sure you are open the right hours for the best possible financial outcome for your retail business. We love this window display that we saw recently overseas. The colouring of the small logs makes he display pop. For years our POS software company serving small business retailers has offered office based support on Saturdays, 7:30am to 3pm. This is a service in addition to our mobile after hours support. Customers love the service as it can provide a more detailed level of service than a mobile service. We know they love it because they use it, often to ask about things they did not have time to get to through the week. Office based Saturday support that is based in Australia by people who know our software well is a differentiator for Tower Systems. newsXpress Southland is a card, gift and collectibles shop in the sprawling Westfield Southland shopping centre in south east Melbourne. Xero POS software partner Tower Systems provided an integrated Point of Sale solution for in-store and well as online. This seamless link, coupled with complete xero integration, provided the time-saving solution the business was looking for. As the business has become more familiar with the Tower Systems and xero solutions it has evolved the online offering to be more comp0etitive against big retailers in the online space. This has seen click and collect and online LayBy launched. A shopper adds items to their shopping cart, they select online LayBy, provide basic instant credit check data and fine the application approved or otherwise in seconds. The retailer is paid less a small handling fee with the finance company taking full responsibility for collecting payment. With click and collect, the payment is handled online. This works best as to commits the shopper and turns the in-store visit to an easy collection. Experience has shown this is what shoppers prefer rather than having to worry about payment in-store. It also means one person can purchased while another can collect, with appropriate secure authority. Tower Systems is an Australian based POS software company currently serving in excess of 3,500 small and independent business retailers. The company can be explo9red at www.towersystems.com.au. Ask the companies you are interested in to visit your shop, to show you live and in person how their software handles questions you have about it. Speak with the owner of the POS software company. Ask them why your business matters. Ask them for details of retailers like you they have using their software. Get login access to their customer knowledge base. Look at th resources they provide. Look at their business blogs, compare the content and professionalism. Compare the written quotes. Ensure everything you require is included. Ask if software support coverage is mandatory. Get their answer in writing, from a director of the company. Ask for a total cost of ownership projection for three, four and five years. These six points alone will offer a complete comparison outside of the software itself. It will force some companies to confront topics they would rather avoid. Offering Lay-by services is essential if you want to grow sales revenue in almost any time of business. Big businesses usually have strong LayBy offerings. It takes commitment and discipline. Once the processes are in place, staff trained and your system setup, it can run like clockwork. Lay-Bys provide shoppers an opportunity to purchase today what they are unable to fully pay for today. Key to your success with Lay-bys is having a streamlined and consistent process for processing Lay-bys, storying lay-by product, collecting payment and tracking customers. One mistake with managing Lay-bys can be expensive. Use software in your business to track Lay-bys. Do not do it manually. 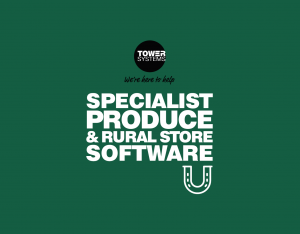 Of course, we recommend the Tower Systems POS software – it has LayBy facilities ready to go. Meeting regulatory requirements is vital. For example, if someone cancels a LayBy you must refund their payments less a termination fee. You can set this fee and advise as part of your terms and conditions. Our practical advice guides you through key rules and steps to success with Lay-bys. Lay-bys should run for between eight and twelve weeks. You could run for longer pre Christmas to get early toy sales. Have a LayBy termination policy you are comfortable with. We suggest a 20% termination fee. Alternatively, set a dollar amount to reflect the work. Also, consider setting the LayBy to auto terminate if it extends beyond a period of time you nominate. Note that you could equally choose to have no cancellation given that Lay-by product may not be able to easily re-sold. Tower Systems offers direct integration between its small business POS software and Magento, Shopify and WooCommerce, as well as a generic link that retailers with web stores in other platforms can use. The Tower Systems platform specific links have been developed to the standards of Magento, Shopify and WooCommerce. We have taken great care to ensure that we link as they intend, sharing the right data for a seamless connection between the physical store POS software and the o line store experience. This drives shopper confidence and saves retailers time. It helps drive revenue too. As operators of retail businesses as well as online businesses, Tower Systems is well placed to provide a whole of business physical store and online =store solution that is integrated, safe, easy and shopper outcome focussed. The Tower Systems Retailer POS software to Shopify Link uses the Tower Advantage Link platform to allow Retailer to connect directly to your Shopify store. The Tower Advantage Link platform is a subscription-based service that acts as an intermediary between Retailer and the Shopify API. Stock. Retailer is your master stock database. You flag what stock items you want to appear on your shopify store. Descriptions and extended descriptions are added as your titles and descriptions in Shopify. Newly flagged products are automatically added and if you edit items in Retailer you have field level control over how these are handled in Shopify. Department and Categories. Your Retailer Departments and Categories become collections in Shopify. You can have a chose of either Department level collections or category level, but not both. If you choose to synchronise either a department or category, your existing structure will be mirrored and managed in Shopify automatically. If, however, you decide not link your Department and Categories in Shopify, you can allocate collections manually to products once they are added. Classifications. Shopify does not have a mechanism to manage classifications. Prices and Quantity On Hand. You have control over your webstore pricing from within the Retailer Stock Screen. Bulk updates of the webstore prices can be performed in Stock Manager. Once new prices are set, your web store is updated automatically. Quantity on hand is also managed automatically, when your sell or arrive an item into stock these adjustments are sent directly to Shopify. If the quantity on hand of an items drops to 0, the item is marked as out of stock in Shopify. Images. The images you set against stock items in Retailer are automatically uploaded to your website. If images change, then old one is removed and the new one is added. You can upload as many images as you like per stock item. Customers. Customers that purchase off your webstore are added as customers in your Retailer database, allowing you to track what they buy and market to them if you desire. Existing customers with an email address will also be added to your web store to facilitate easy sales if you choose. Sales. Sales are downloaded on a periodic basis and imported into Retailer. They are imported into our Customer Invoice Maintenance facility allowing you to place orders and print invoices if needed. Once sales are imported it reduces your quantity on hand so you maintain accurate stock control. Sales can be allocated to a specific location or merged to you main sales data, giving you excellent control over how you report on your webstore sales. Yes! We are expert in POS software and web store development and deployment. Here at Tower Systems we are grateful to the small business retailers and those who work in small business retail who support and engage with the weekly free live online training workshops we run. We love sharing insights. Better still, we love your questions and feedback as they provide fertile ground for enhancements to our POS software and to the services we provide. I want to share with you a true story of what happened recently in one of my own shops – yes, I own this POS software co as well as retail shops. It is a story of how a small everyday purchase led to something bigger and how this happened as a result of fundamental changes in how the business is run. This story could happen in any retail business – city, country, large, small, shopping mall, high street. I make that point so you do not dismiss the story and think it could not happen in your business. The elements of the story work together in any size business. In writing about it here I’m not getting you to do anything other than to consider that you could achieve the same in your business. This is the key: the customer came in to make a quick destination purchase. The type of purchase where we did not matter. They were on the way to the car park and happened to pass buy our shop. Point 1: location is in our favour. The stepped in because they saw our greeting cards. Point 2: the floor placement of cards was key in getting them in the shop. The discount vouchers are disruptive. People respond in unpredictable ways. For this story to work in a newsagency you need to have the right products, placed strategically in-store. Your staff need to make the right pitch. Plus, you need to be attracting people who don’t know and probably don’t care what shop they are in. If you have read this post and thought it does not relate to you, that you could not do this in your business I say you are wrong. I am certain the approach I have shared with you could work in any newsagency in any situation. I urge you to not hold your business back. 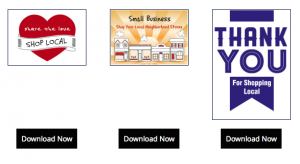 Tower Systems has added to free marketing resources for small business retailers. New digital art is being loaded to our website for small business retailers to download and print and to load into digital marketing platforms. This latest collateral from our in-house creative team is themed to provide retailers more options for pitching their businesses. We are grateful to the encouraging feedback from small business retailers – customers and not – who are using the facilities we have created and made available through our website. This feedback is what has encouraged us to do even more. Tower Systems provides access to these free marketing resources without asking for any details – making the resources genuinely free. 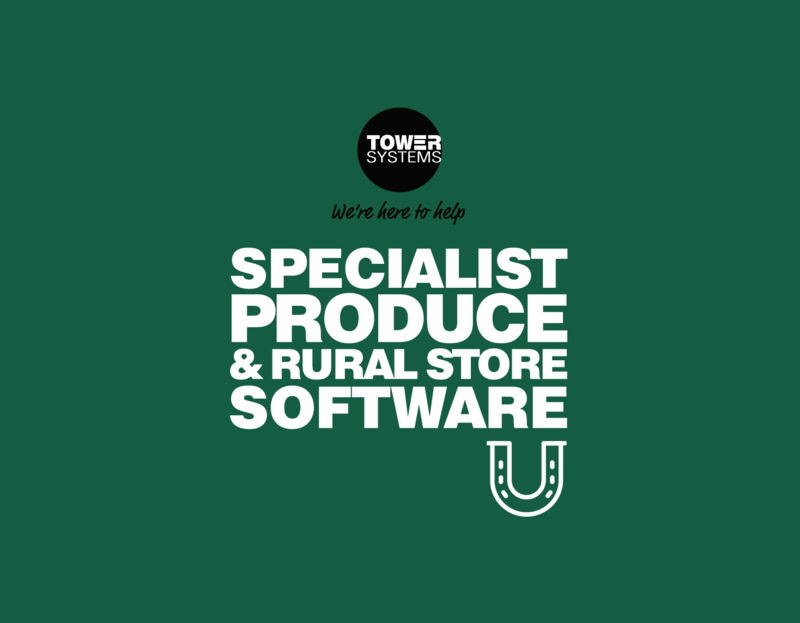 The produce business software from Tower Systems is proving to be ideal for product businesses, stockfeed businesses and related businesses. Developed in close consultation with produce retailers in regional and rural Australia, the software has facilities targeting niche needs in these specialty retail businesses. Facilities include selling by weight, handling freight calculations, having special orders, tracking customer accounts and providing appropriate product warnings as required for the sale of certain chemicals. The software does not stop still. It continues to be evolved, based on feedback and advice from product and stockfeed businesses owners who use it. Consistent stock files, electronic invoices, easier business-to-business comparison and more targeted business development assistance are just some of the benefits you can expect from a more consistent solution. Easy handling of multiple price levels for items. This is very flexible and ideal for what we often see in produce businesses. Managing loyalty based on pack purchases over time. Fast, accurate selling including easy handling of large and book items.